Edited on 3/25/2013 to switch the resource links at the bottom to the blog’s D*C link page. Edited on 4/4/2013 to expand and clarify the information on the events around the HWA and SP Somtow in 2000. 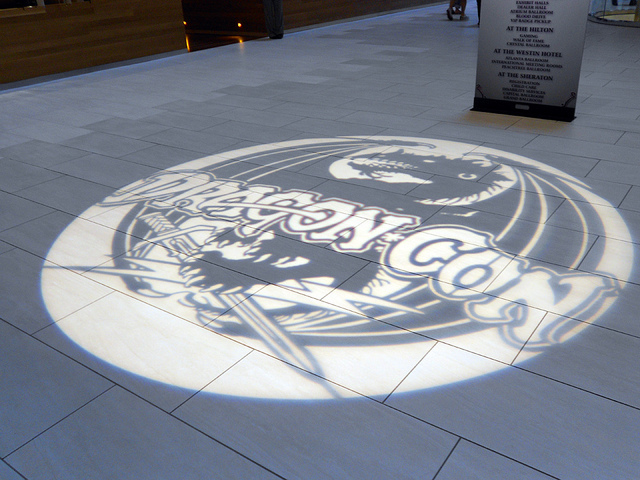 Nancy A. Collins has long made her desire to have no part of Dragon*Con clear to all; sometimes fanatically so. Her stated reason was that Ed Kramer, one of the original founding members of Dragon*Con, was arrested in 2000 and charged with engaging in three counts of child molestation against two brothers as well as another child who would later come forward. Nancy’s reaction was a very personal one. Nancy had a working relationship with Kramer, a well-known editor in the genre fields, throughout the 1990s as well as a personal one. Collins would later claim that Kramer was “grooming” both her and her then husband in order to get closer to their younger family members and speak of her feelings of personal betrayal. It’s now 2013, and soon to be going on 13 full years later, and Kramer has still not stood trial. After some checking around the web, it appears that this is not in fact troll passing himself off as Don Murphy, but is in fact the real Don Murphy. You would think that a grown man who runs his own production company and has been involved with such films as the Transformers series, Splice, Shoot ‘Em Up and Real Steel would have better things to do with his time than troll forums on Facebook, throw petty insults, spitting venom, send insulting PMs to people on the forum that he doesn’t know simply because they disagree with him and report cosplayers to Facebook with bogus charges to try and get their character profiles deleted but, apparently, he has all of that time and more. Much, much more. He’s becoming quite infamous for acting like this on various forums related to his work and other places as well. And he has apparently been acting like this for a good long time now.